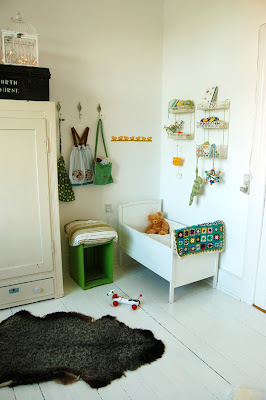 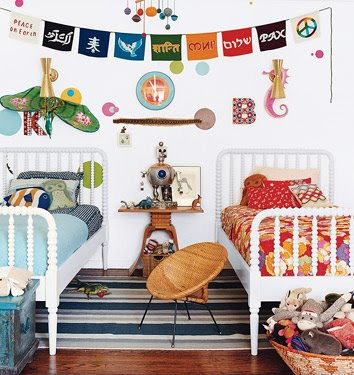 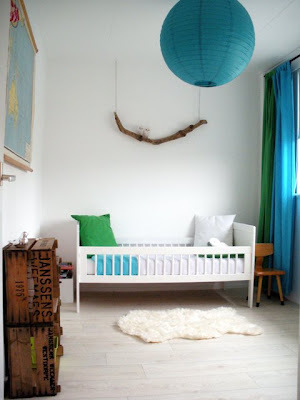 I am posting a few more children rooms from my collection of inspiring images, except this time I will show more colorful and less girly decor. 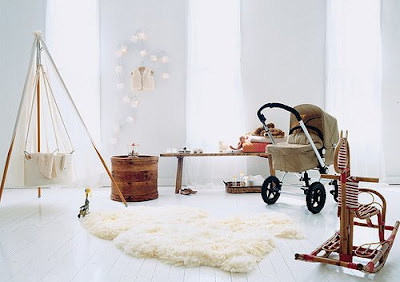 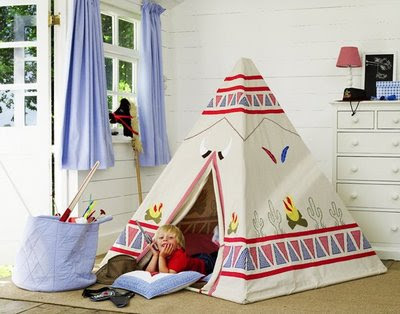 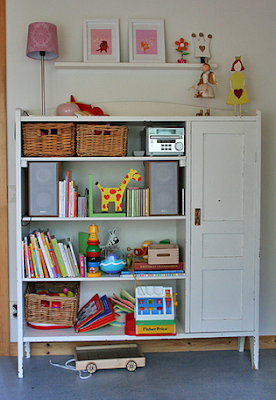 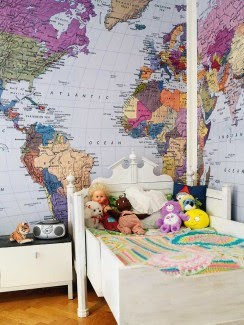 I love how maps decorate a kid's room, vintage furniture and toys are also a common element and so are sheep skin rugs, garlands, and creative storage such as old trunks, baskets and tins. 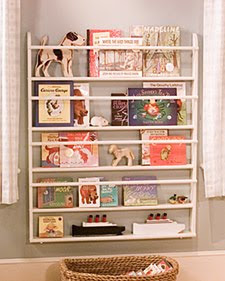 Antique children books look beautiful on a nice old bookcase or on a pretty rack. 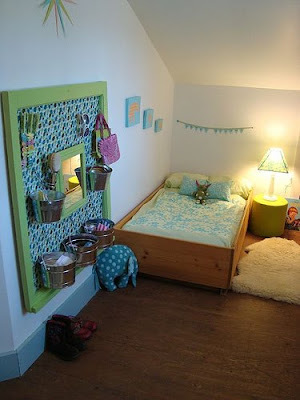 I apologize for those pictures that I don't give credit for, I just can't remember where I found them.